Professor Sylvester Achio, the lead author of this book, is currently the Rector of Accra Polytechnic and a Professor at the Department of Science Laboratory Technology of Accra Polytechnic holding MSc. Hons. (Research) Agric (Agronomy), PGC Ed. (Russian Language), PhD. Bio. Sci. (Microbiology). He has authored several technical books and presented papers at many national and international conferences, workshops, seminars as well as several peer-reviewed journal publications to his credit. Mr. Felix Kutsanedzie is a Senior Research Fellow/Lecturer and currently the Head of the Accra Polytechnic Research and Innovations Centre. He holds a MSc. degree in Bio-Engineering; a BSc. (Agric-Mech); and an Adv. Dip. (Project Management). He is a prolific writer and has several peer-reviewed publications to his credit. Mr. Edmund Ameko is a Senior Lecturer at the Department of Science Laboratory Technology of Accra Polytechnic. He holds a BSc. degree in Biochemistry and a MSc. degree in Food Science and Technology and he is currently the Dean, School of Applied Sciences at Accra Polytechnic. He is a prolific publisher with several peer-reviewed publications. This work captures the entire process of rice production, from pre-germination through germination to harvesting and post-harvest activities; as well as potential related hazards, which could occur to the workers on the rice field or to the environment and appropriate control measures to prevent these hazards. The authors explain how, when, where and why certain activities, methods and measures need to be taken. The rice rotation system and the various stages of the production line are comprehensively and correlatively dealt with. The authors see the need for researchers and rice producers to collaborate and have a long term focus and plan of production, to enable the desired product to be attained. For example, if a good quality milling, high yielding rice type is needed, the various factors leading to achieving such a product must be holistically research into and applied in a multidisciplinary manner. Addressing each parameter, in isolation, may end up with the yield being good but the milling quality very poor, or the other way round. 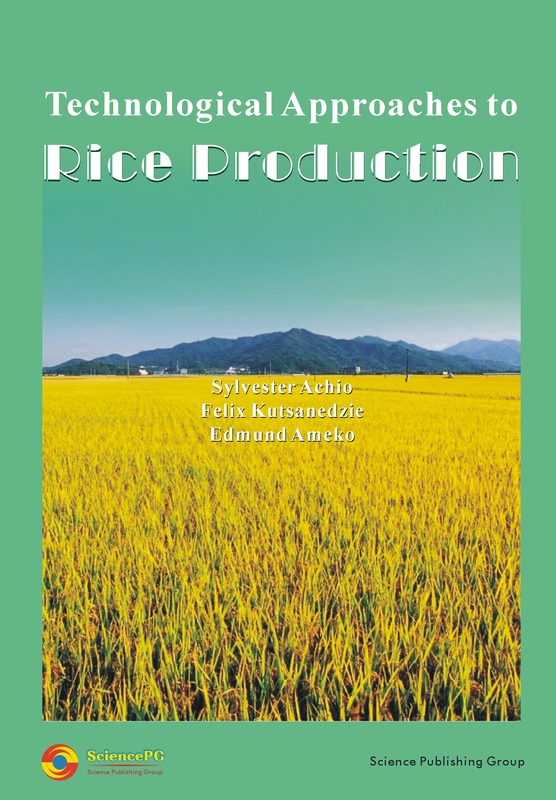 With great experience in both field and research works in rice production, together with the knowledge acquired from seminars, symposia, talks, and from literature on rice production, the authors deem it necessary to compile this material for the general public. This work gives a pragmatic and holistic approach to rice production, guided by a well planned production scheme, and backed with various research findings from renowned personalities in the field of rice production. The literature includes works as far back as 1950s up to 2011. It is the authors’ hope that this work will be found useful, especially by rice producers, processors, researchers, and beneficial to the education institutions, the agricultural sector and all lovers of knowledge acquisition.